CONIS ELCO is a Bulgarian manufacturer of electrolytic capacitors, filters and capacitor modules. The company has qualified and skilled specialists and works with high-quality materials from France, Germany, Japan and USA. Alongside with this, it is in close relationship and partnership with famous Japanese companies as Nippon, the German Mechasonic and the Italian Arcotronics. CONIS is a guarantee for quality and reliability. Motor Run Capacitor 380VAC,5µF Motor run capacitor with voltage 380 VAC, 5 uF. Suitable for air conditioners, refrigerators, generators, compressors, HVAC systems and other AC devices. Filter capacitor, 2х5000pF+0.5uF, 250VAC Filter capacitor, 250 VAC, 2х5000 pF + 0.5 uF. Motor Start Capacitor 80-100uF, 280VAC, Ф35x59mm, 4 pins (9x6mm) Motor capacitor, voltage 280VAC, 80-100uF and capacitance tolerance ±5%. 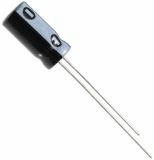 Electrolytic capacitor 2.2uF, 400V, THT, Ф10x13mm Electrolytic capacitor with an operating voltage of 400 V, 2.2 uF nominal capacity and operating temperature 85 °C. 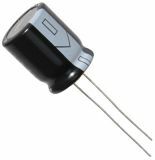 Polyester Capacitor 1µF, 250V, МPТ, +/-10% Capacitor, polyester, with operating voltage 250 V, capacitance 1 uF and case dimensions 23 x 9 x 15 mm. List Price 0.39лв. VAT Incl. 0.36лв. VAT Incl. Electrolytic Capacitor 10uF, 25V, THT, Ф6.3x12mm Electrolytic capacitor with voltage 25 V, capacitance 10 uF and operating temperature 85 °C. Electrolytic Capacitor 100uF, 350V, THT, Ф30x37mm Electrolytic Capacitor with voltage 350 V, capacitance 100 uF and operating temperature 85 °C. Electrolytic Capacitor 1000uF, 50-60V, THT, Ф32x68mm Electrolytic Capacitor with voltage 50-60 V, capacitance 1000uF and operating temperature 85 °C. Electrolytic Capacitor 68000uF, 16-18V, Ф55x105mm Electrolytic Capacitor with voltage 16-18 V, capacitance 68000 uF and operating temperature 85 °C. Electrolytic Capacitor 47000uF, 16/18V, THT, Ф45x112mm Electrolytic Capacitor with rated voltage 16/18 V, 47000 uF and dimensions Ф45x112 mm. List Price: 5.95лв. VAT Incl. Motor start capacitor, 30-36uF, 320VAC, Ф42x97mm, with cable Starting capacitor for electric motors with rated capacity from 30 to 36 uF, rated voltage 320 VAC, operating temperature 75 °C and cable leads. 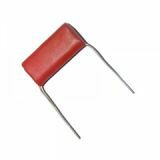 Electrolytic capacitor 10uF, 35V, THT, Ф6.3x12mm Electrolytic capacitor with an operating voltage of 35 V, 10 uF nominal capacity and operating temperature 85 °C.